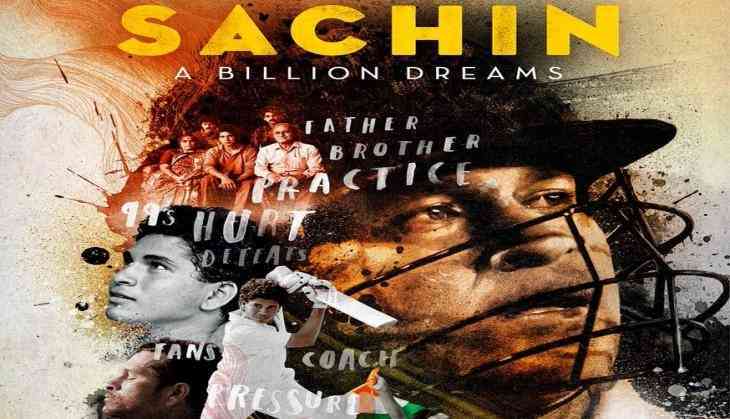 "Sachin: A Billion Dreams", based on the life of cricket's living legend Sachin Tendulkar, is set to release tomorrow across 2,800 screens. "We are releasing the film across 2,800 screens out of which 2,450 are in India. It's first of its kind film being made in India -- a docu-drama feature film that too on a celebrated personality like Sachin Tendulkar we are hopeful the audience will like to see his journey on screen," Anil Thadani, who is distributing the film, told PTI. Akshay Radhika, film exhibitor, said, "Sachin is a demi god and there is so much buzz around his film that the expectations are definitely high from the film. But it's a docu drama, a first of its kind being made, so we are being optimistic and hoping it will do well." Distributor Rajesh Thadani feels the film will definitely do well commercially. "Considering 'Sachin mania' the film will surely do well commercially as there is lot of curiosity about the film. It will break records in the biopic space. It should do a business anywhere between Rs 10-15 crore on day one," he adds. "Sachin: A Billion Dreams" will show real footage including clips of various essential matches of Sachin, how he dealt in intense and tough situations, and it will also throw light on his personal life. The film is releasing in five languages including English, Hindi, Marathi, Tamil and Telugu. The film has been declared tax free in Odisha, Kerala and Chhattisgarh. The biographical drama is written and directed by James Erskine and produced by Ravi Bhagchandka and Carnival Motion Pictures under the banner 200 NotOut Productions. A R Rahman has composed the music for the film.